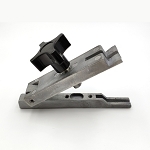 KONE4 key (also know as K4) - Tubular elevator key for KONE independent service. 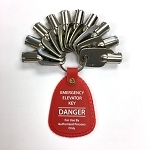 EPCO1 key - Tubular elevator key for EPCO independent service/light/fan/electric eyes and more. 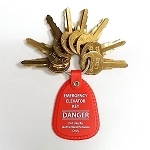 X4001 key - Tubular elevator key for independent service, light/fan and more. 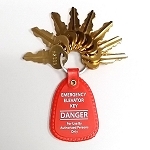 MK03 key - Double bitted elevator key for Montgomery/KONE light, fan, independent service and more. 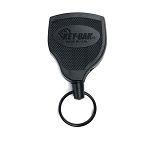 UTA key - Double bitted elevator key for OTIS light, fan, independent service, inspection enable and more. 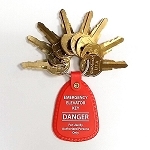 Yale GA key - Single bitted elevator key for independent service, light, fan and more. 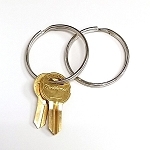 L203 key - Double bitted elevator key for ThyssenKrupp light/fan, independent service and more. 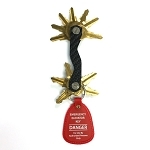 G1601P key (also known as 1601 or 1601X) - Single bitted elevator key for GAL light, fan, independent service and mroe. 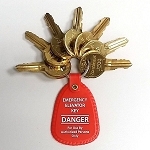 USE4 key - Single bitted elevator key for independent service, code blue service, lockout, car park and more. 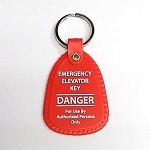 PT01 key - Double bitted elevator key for PTL light, fan, independent service and more. 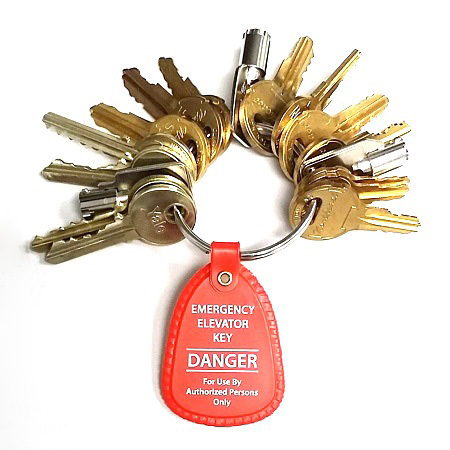 J201 key - Double bitted elevator key for Monitor security and more.